v4.0.60 is another jam-packed release starting with exciting new API Key and JWT Auth Providers enabling fast, stateless and centralized Auth Services, a modernized API surface for OrmLite, new GEO capabilities in Redis, Logging for Slack, performance and memory improvements across all ServiceStack and libraries including useful utilities you can reuse to improve performance in your own Apps! I'll try highlight the main points but I welcome you to checkout the full v4.0.60 Release Notes when you can. Auth Providers that authenticate with each request (i.e. implement IAuthWithRequest) no longer persist Users Sessions to the cache, they're just attached to the IRequest and only last for the duration of the Request. This should be a transparent change but can be reverted by setting PersistSession=true. should ideally never be stored in plain-text. API Keys are validated as fast as possible using a datastore Index. ServiceStack existing Auth model and includes Typed end-to-end client/server support. And can persist API Keys in either of the following Auth Repositories: OrmLiteAuthRepository, RedisAuthRepository, DynamoDbAuthRepository and InMemoryAuthRepository. System, making them optimal for use in Microservice architectures. other Auth Providers which requires at least a DB, Cache or Network hit to authenticate the user. HMAC is the simplest to use as it lets you use the same AuthKey to Sign and Verify the message. verify authenticity, they're not encrypted and can easily be read by decoding the URL-safe Base64 string. you need to track down unexpected behavior. When turning on encryption, tokens are instead created following the JSON Web Encryption (JWE) standard where they'll be encoded in the 5-part JWE Compact Serialization format. One of JWT's most appealing features is its ability to decouple the System that provides User Authentication Services and issues tokens from all the other Systems but are still able provide protected Services although no longer needs access to a User database or Session data store to facilitate it, as sessions can now be embedded in Tokens and its state maintained and sent by clients instead of accessed from each App Server. This is ideal for Microservice architectures where Auth Services can be isolated into a single externalized System. Which no longer needs access to a IUserAuthRepository or Sessions since they're populated entirely from JWT Tokens. Whilst you can use the default HS256 HashAlgorithm, RSA is ideal for this use-case as you can limit access to the PrivateKey to only the central Auth Service issuing the tokens and then only distribute the PublicKey to each Service which needs to validate them. Likewise this API lets you convert Sessions created by any of the OAuth providers into a stateless JWT Token. uninterrupted Sessions across multiple redeployments without a persistent Sessions cache. As mentioned in the last release we've moved OrmLite's deprecated APIs into the ServiceStack.OrmLite.Legacy namespace leaving a clean, modern API surface in OrmLite's default namespace. functionality, so now all queries just use db params. 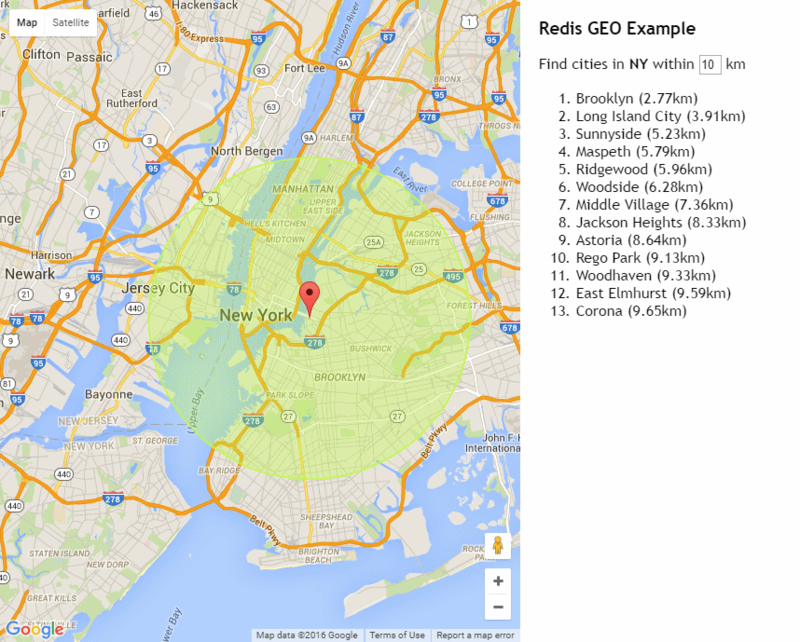 The latest release of Redis 3.2.0 brings it exciting new GEO capabilities which will let you store Lat/Long coordinates in Redis and query locations within a specified radius. for your development team on Slack to see and discuss logging messages as they come in. //Alternate default channel than one specified when creating Incoming Webhook. //channel specified when Incoming Webhook was created. //Custom channel prefix can be provided to help filter logs from different users or environments. Some more usage examples are available in SlackLogFactoryTests. Several performance and memory usage improvements were also added across the board in this release where all ServiceStack libraries have now switched to using a ThreadStatic StringBuilder Cache where possible to reuse existing StringBuilder instances and save on Heap allocations. There's also a StringBuilderCacheAlt for when you need access to 2x StringBuilders at the same time. We've added MVC's CachedExpressionCompiler to ServiceStack.Common and where possible are now using it in-place of Compiling LINQ expressions directly in all of ServiceStack libraries. Special thanks to @donaldgray for contributing this feature. This covers the main points, more features and further details are available in the full v4.0.60 Release Notes.